Diablo III (D3) is here. After a 12 year slumber the spawn of hell are once again clawing their way up from the pit to rain destruction on humanity. A select group of warriors fight the menace and bring peace to the land once again. Diablo defined a genre, indoctrinating a generation in the hack, slash, loot mentality. Many games have taken up this style (Torchlight, Titan’s Quest, etc) each one making slight modifications to the overall formula – yet at the core they all followed a simple idea. The player clicks on things and watches them die, and picks up items. This is true for D3; yet they have made many changes to the core systems of Diablo that make the game not only the best of the Diablo series – it is also the best of the Diablo-style games to date. 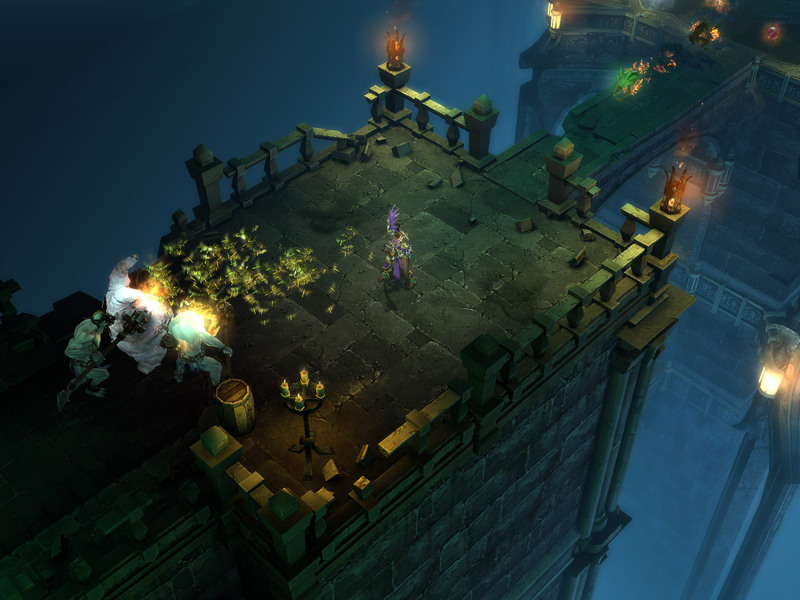 The story of Diablo has always been standard gothic fiction. The forces of evil are on the rise and it is up to mankind to try and push them back. 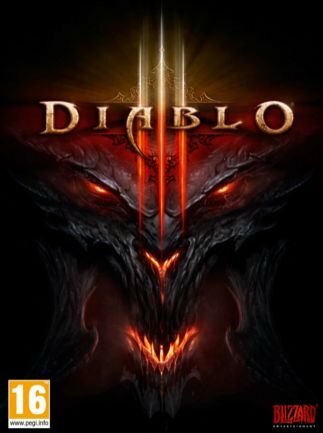 Diablo III is no different, yet with Blizzard’s work on the Warcraft series and the deep fiction they created there, the hope was that Diablo III would surpass the previous titles in depth. Sadly this is not the case. Although beautiful to look at, the cut scenes Blizzard have crafted are shallow. They tell the basic story but it all feels more like a means to get the player from location to location then a real narrative we should care about. There are far too many clichés to take the dialog seriously and, due to the nature of the game, your character never seems to play a role in the cut scenes. It creates a strange disconnect where the player is the savior of humanity yet never present during critical scenes. Even though the overall story may be lacking the same cannot be said for the gameplay. Blizzard have refined what made Diablo so engaging and worked on ensuring it would be easy to pick up for new players but it retains the depth veteran players demand. Loot is still one of the key elements that fill the players need for instant gratification. The addition of automatic gold pickup take some of the tedium out of the classic formula allows the flow of action to continue with fewer interruptions. The constant lottery feeling at every drop is still present; every possible drop could be the rare item that boosts the character to a new tier of the elite, but could also be a collection of useless items that are only useful to sell. This can often be an exercise in frustration when the majority of drops are useless but the surprising moments when that ‘yellow’ (rare) item drops it makes up for all the frustration. The weapons in D3 do act a little differently than in previous titles in the series, because of the new way skills work in D3. The weapon the character holds may not necessarily translate to the attack they perform. 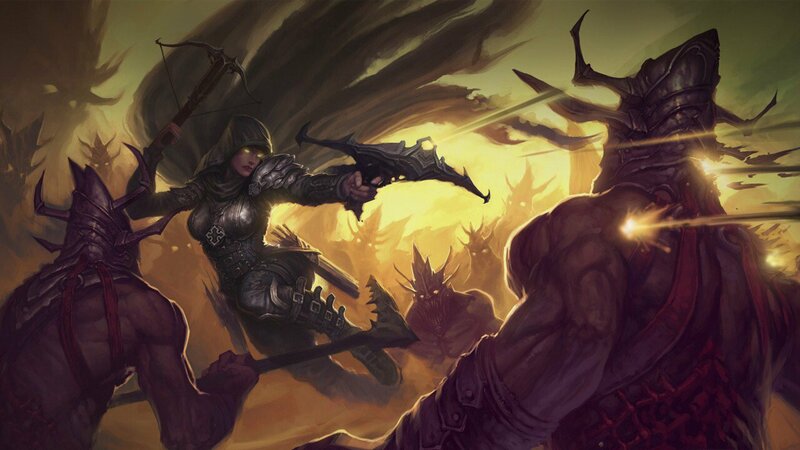 For example, a Demon Hunter may be holding a crossbow yet be firing bombs. The damage bonuses the weapon endows to players is still active despite differing skills being used. It’s convenient mechanically, but can occasionally break with the “realism” in the game, what little there is. Blizzard wasn’t content to just generate near endless supplies of loot, and have opted for the ability to craft new and powerful gear. The blacksmith you meet early on in the campaign can take magical items you find in the world or salvage components from gear to craft new items. These pieces of gear are given randomized magical properties, so sometimes the money will be spent and something that is basically useless to your character may come out. It’s all part of the risk versus reward system Blizzard is known for, with the elusive promise of the next crafting session yielding, potentially, a powerful weapon of demon destruction. There is one serious downside to this system and that comes in the form of expenses. If you want to make use of the blacksmith you will need to spend a great deal of gold training him. If this is not done early on, it can be rather pricy, but for stat min-maxers, it’s vital. Without this training, none of the gear crafted is viable to end-game characters. Also, since all characters in a given mode share the same blacksmith—and jeweler—once this has been boosted it the upgraded will carry over to subsequent replays on higher difficulty settings, meaning it only needs to be done once. The core system in D3 strays away from what was seen in previous titles. There are still a series of classes to select from (Demon Hunter, Barbarian, Wizard, Witch Doctor and Monk) but they have changed the fundamentals of leveling. The skill tree that was present in previous games is gone and has been replaced with class attributes. Skills are automatically unlocked as the character gains levels. There are modifiers on each specific skill with options to tweak the specific skill sets. It encourages a new sense of flexibility and experimentation many veteran players may feel with the limited customization that is present by default. Potions are also changed from previous games. Before it would be standard practice to keep using the health potions to get by harder enemies but Blizzard have added a cool down timer on the health potions and also added health globe pickups that will instantly fill some life after they are collected. Scrolls of town portal and identification have also been removed in favor of a more streamlined system of always available abilities that can be used when needed. These changes keep game play flowing and reduce the pointless inventory management all these spells took up. It makes for a much more fluid play experience that feels more modern.The visuals are stunning yet familiar and although the game has been improved dramatically over previous titles it still maintains the feel of the older games. Even with this familiarity, Blizzard has done some amazing things with tone and mood. Each location feels unique, the creatures and landscape all create an atmosphere that shows the craftsmanship put into the game. The subtle lighting effects and interactive elements make this feel like a living breathing festering world that must be saved. The only criticism is that the last chapter of the game feels rushed. It has some of the most interesting visual flourishes and yet it feels like the place that the least time is spent. It would have been nice to see more of this area along with a longer last act. The difficulty in the game is slightly easier than previous titles. It takes a few acts for the difficulty to ramp up enough to cause any real challenge. In later acts of the game it can be a struggle to take down all the enemies that are thrown at you depending on the class that was picked. Beyond this, there is a range of difficulties that the player can look forward to if they choose. Once a player has finished a difficulty the subsequent difficulty will become unlocked (Nightmare, Hell and Inferno) these difficulties are built for higher level play and pose real challenges. Unless you have the proper gear and skills equipped these can result in many deaths.Thankfully Blizzard has also added three unique companions to the game that can aid in areas that the class of choice may be lacking. The ranged class, a magic class and a melee class each with ability to level and customize that will best fit your play style. Sadly, only one can be taken into battle at a time and they cannot join a party if you are playing co-op but since they are only there to aid in single player this is not a major concern.The biggest concern to many players is the digital rights management or DRM that requires a constant connection to Battle.net. This is partially to address the auction house that is always accessible to players along with the drop in co-op that Blizzard have added into the game. It also means the single player game can be held hostage when the connection or server problems abound, something that’s already happened with regular frequency. That problem, combined with some surprising lag issues, make this need for a connection a serious, unnecessary and crippling black mark on an otherwise solid package. The multiplayer should not be underestimated though; it’s easy to get a co-op game going and the fact creatures scale to the number of players make it a joy to jump online and take on some of the harder monsters in the game. The added challenge forces teamwork. If you get a lone wolf that joins your game and runs off, it helps no one as it just spawns more monsters with none of the benefits of teamwork. There is the surprising omission of any official voice chat, a standard in today’s gaming landscape, but it’s easily fixed with third party software. It should be noted that PVP is planned for the game and has been shown but will be arriving in a patch at a later date.Despite some of issues, Diablo III is the new king of the action RPG genre. It is a full package with breathtaking visuals and a great loot system that will keep players going for years to come. Not only is Diablo III the best of the Diablo series but it is possibly the best Action RPG to date. It will be interesting to see what the competition comes up with to try and take on this series, but for now this is a must own for anyone interested in loot driven games or RPG’s in general.